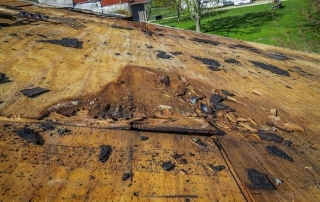 Sometimes old leaky old roofs have a way of hiding some bigger problems that may not be visible until the roof is removed. 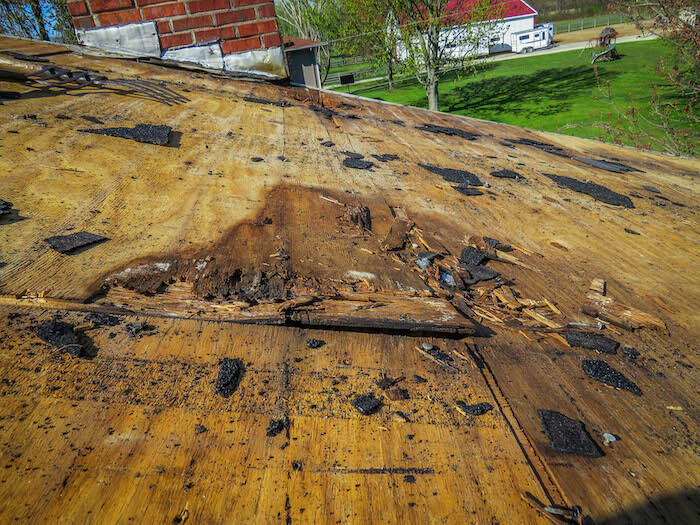 This is especially true when a roof has more than one layer of shingles. This house near Galena is the perfect example.